This Sunday at Ching-a-lings is totally going to be like this. 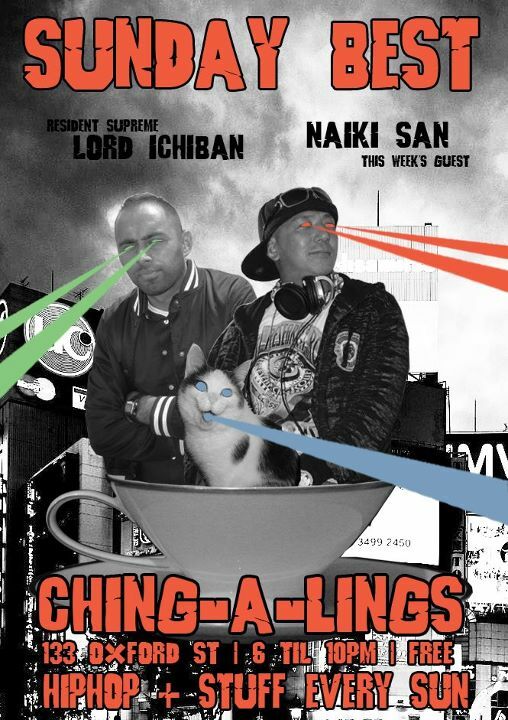 Naiki San, myself and a random cat floating through Shinjuku in a flying saucer shooting lasers out of our eyes. As a little teaser, I thought I would post one of my favourite Naiki mixes from the show. This is a G-Funk vs P-Funk selection from back in 2008. Sorry about my over excited yelling on the mic. More Mixes: DJ Naiki Mixes Galoreeeeeee! This entry was posted in DJ Naiki, Events, Freeloads, Mixtapes and tagged ching-a-lings, DJ Naiki, fbi radio, g funk, hip hop, p funk, Stolen Records, west coast rap. Bookmark the permalink.